We are incredibly excited to introduce Manefit, the latest brand to feature on miloon.eu’s K-beauty curation. We’d been longing to get those wonderful masks. They are now eventually available for you, and of course…your skin. Let’s start from a forewords from IM1NE, the company behind Manefit. Their research team is composed by excellent researchers from AMOREPACIFIC. They follow the whole process of production bringing to life the astonishing amount of technology and experience gathered over the years. In fact, iM1NE lab has continuously contributed to raise the Beauty bar high top. 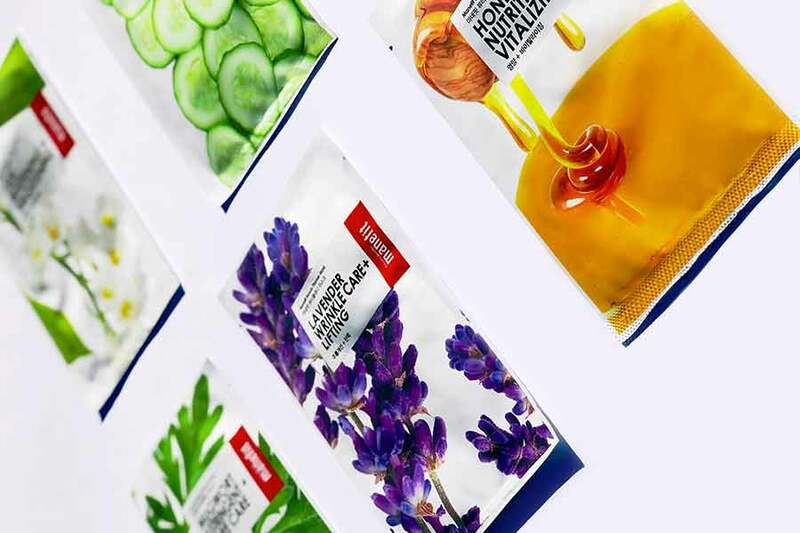 They are considered to be mask sheet expert because they have been producing so many breeds of sheet masks for respected Korean brands like Innisfree, Dr.Jart+, Primera, Laneige, Mamonde. What’s more, Manefit owns the patents for the world leading hydrogel and microfiber sheet masks. The Beauty Planner line by Manefit: It’s time to schedule journey too the perfect skin. Manefit’s Beauty Planner line includes a set of 5 microfiber masks, each of them imbued with a specific essence with specific properties to deliver targeted benefits. 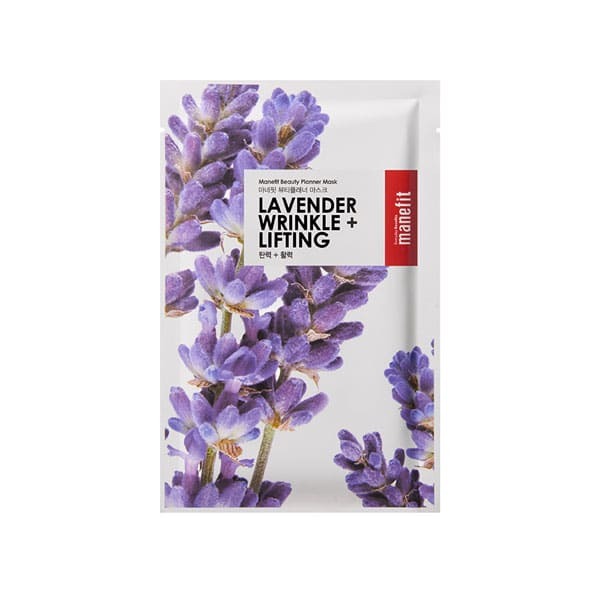 Mugworth, against inflammation; Lavender, to fight age-induced elasticity loss; Cucumber, to moisturize and balance skin tone; Honey, against imperfections such as acne and eczema; Lily, against uneven tones and hyperpigmentation. Manefit Mugwort microfiber sheet mask clears your pores and hydrates the skin at the same time. 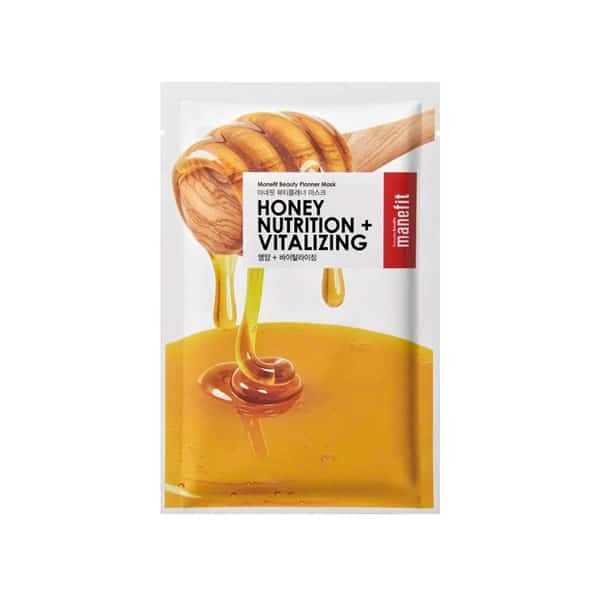 This sheet mask delivers radiant skin using wintergreen salicylic acid to gently exfoliate and clear pores. Moreover, Centella Asiatica soothes sensitive skin. Lastly, Houttuynia Cordata Extract will take care of any inflammations. This is just effect for skin with impurities (even for sensitive skin) and sebum excess. 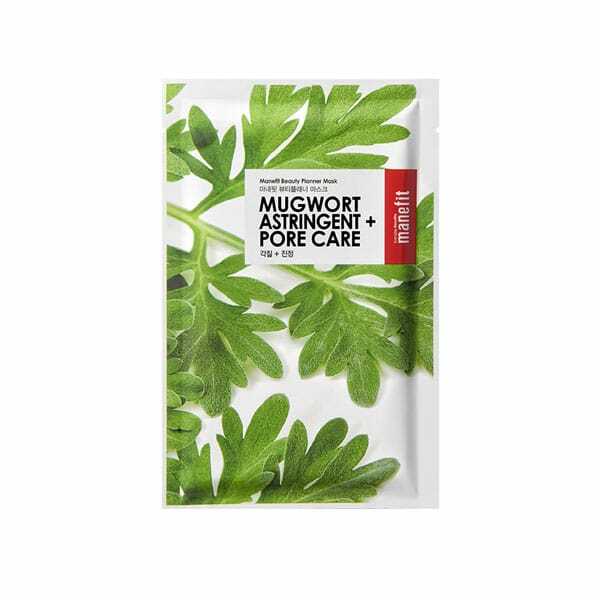 Manefit Mugwort microfiber sheet mask is designed to firm skin, reduce wrinkles, and improve elasticity. It relies on a brightening blend of lavender, honeysuckle, and adenosine. Your skin will look luminous and you’ll feel renewed. This is perfect for skin that is loosing elasticity and is concerned by fine lines and wrinkles. This one features cucumber to soothe and hydrate, plus antioxidants to even skin tone and reduce puffiness. It is perfect for all skin types, but sensitive skin types will love it! Perfect for irritated, sensitive skin. 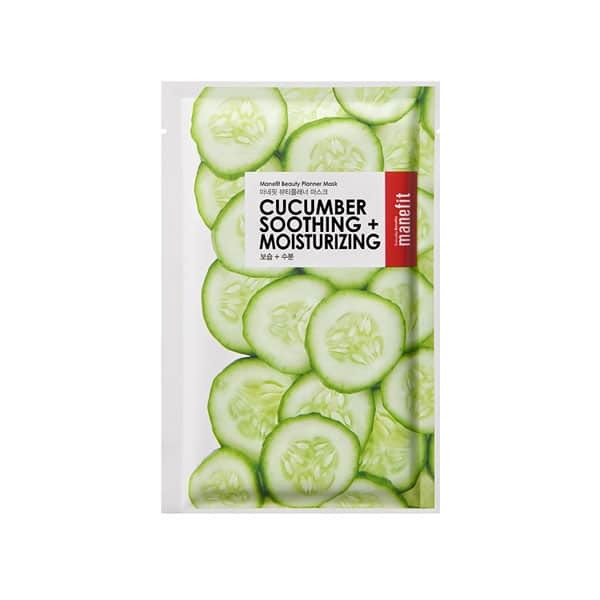 Manefit Cucumber Sheet Mask contains honey extract and antioxidants to nourish and soothe dry or rough skin. With antibacterial properties, Honey is a great natural healer. It revitalize dull skin that suffers from skin concerns like acne or eczema. This mask instantly heal and sooth tired and stressed skin delivering a healthy glow. It is perfect for dry skin, yet works great for all skin types. Manefit Lily Sheet mask is perfect for brightening uneven skin tone. 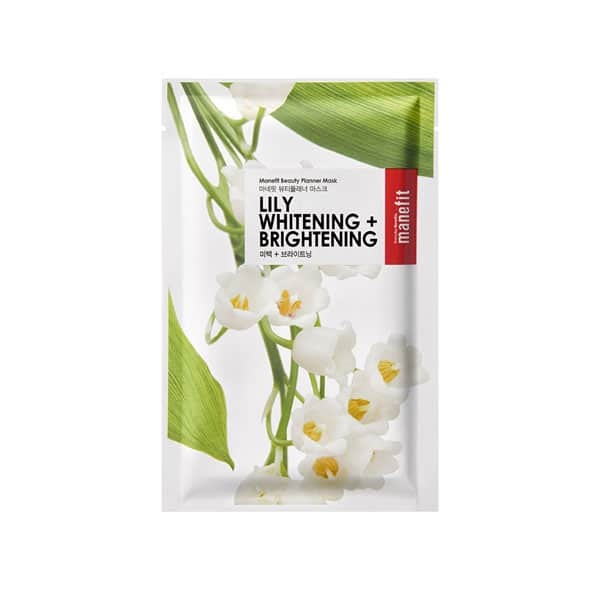 It is formulated with lily extracts and Niacinamide. This mask nixes pigmentation and brightens your overall complexion, as it improves skin clarity. After just one use, your skin will feel instantly nourished, brighter, softer, and smoother. This is the weapon of choice against uneven skin tone and hyperpigmentation.